The Lindisfarne Community seeks to be an inclusive community. We are often asked whether we are welcoming of gays and lesbians. Our answer is that we welcome all who Christ welcomes, and that excludes no one! 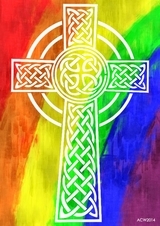 Gender, sexual orientation, race, or class do not bar anyone from becoming a member of the community or from becoming a deacon, priest or bishop. We are in broad agreement with the statement produced by our sister communion, The Celtic Christian Church. You can download their position paper here.